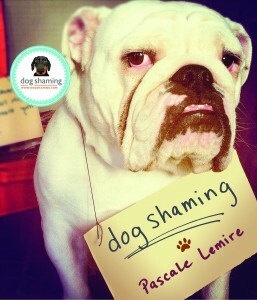 Guilty look, but no guilt. Posted August 10th, 2015 by Audra Williams & filed under Submitted, Who's Training Whom. Bella is a 14 year old pup that we rescued 4 years ago. She is a very good girl and we have no idea why anyone ever gave her up! She really has never done anything terrible since we rescued her except maybe chew some tissues out of the bathroom trash (eww) but we since have moved it out of reach and I was never able to catch her in the act! 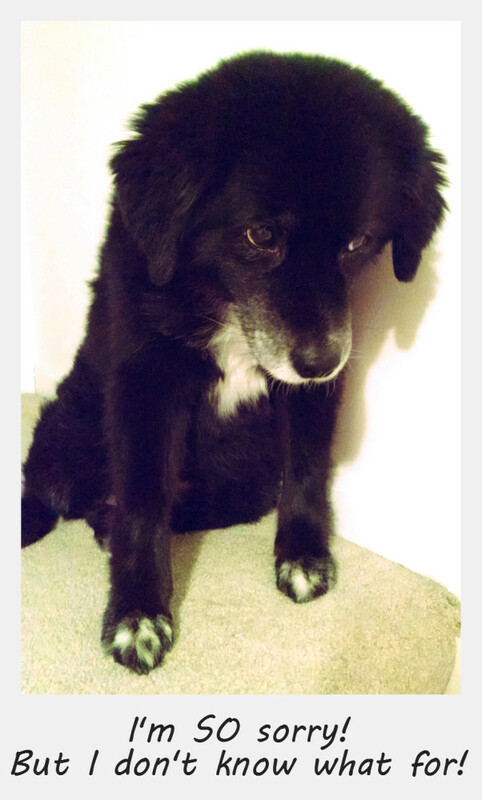 I snapped this picture while she was sitting on the steps, looking super sorry but she didn’t even do anything wrong! 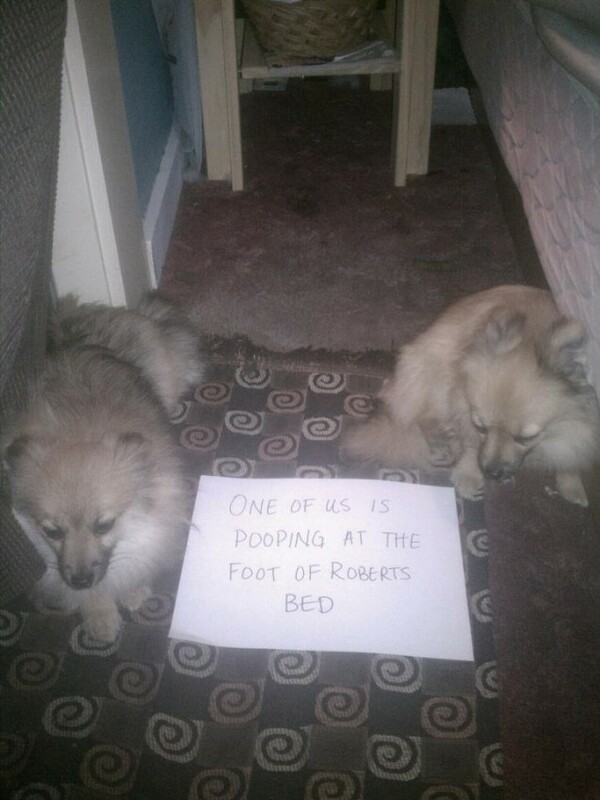 Posted February 25th, 2013 by & filed under Double Trouble, Submitted, Surprise Poops. Posted February 3rd, 2013 by & filed under Renovation and Redecoration, Submitted. This is Pippa. 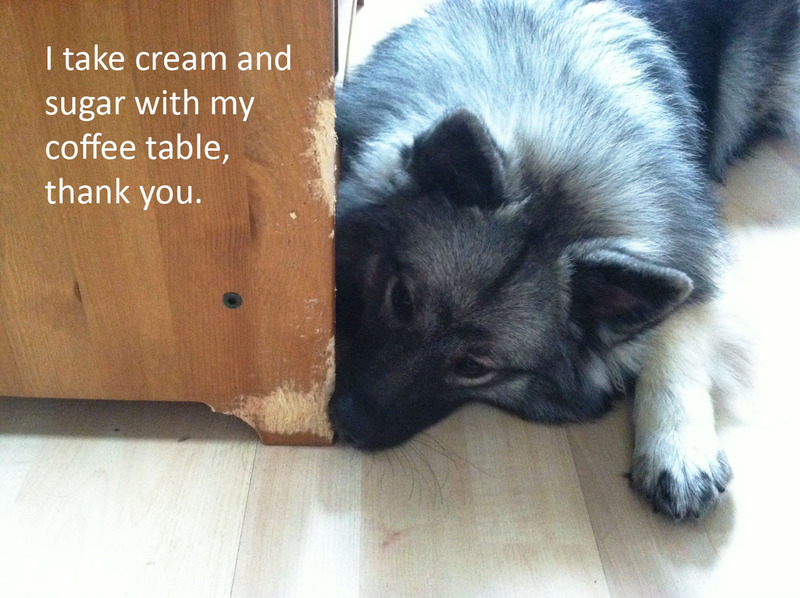 Pippa chews Ikea furniture like she chews bones. Maybe it has a special Swedish flavor? 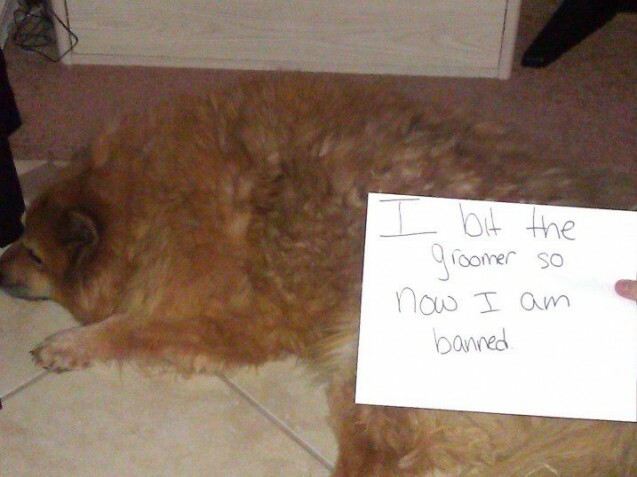 Posted August 21st, 2012 by & filed under Best Friend Betrayal, Pet Shaming, Submitted.